With its long coastline and great expertise from the oil and gas industry, Norway has unique prospects to become a global leader in the sector and to create a new export industry. SeaTwirl’s chairman Roger Cederberg is interviewed in a big article in Norwegian weekly Teknisk Ukeblad about Norway’s opportunity to become a leader in the build out of floating offshore wind power. ”The time is right for a push in floating offshore wind power in Norway since we have solid competence in marine structures from the oil and gas industry. We must use that to develop a new export industry before France and others beat us to it”, says Håkon S. Andersen at Dr techn. Olav Olsen to TU, Norway’s biggest tech weekly. At Karmøy Metcentre, where Statoil tested and developed its Hywind concept, a test centre that will play a key part in the country’s floating wind power venture has been built. There, all infrastructure imaginable as well as cables from the sea to the shore is in place. The Norwegian government has decided to support the burgeoning industry by giving the authority Enova resources to allocate through grants and loans. However, there is grumbling among industry players about the terms that are not deemed sufficiently favourable. The head of Metcentre, Arvid Nesse, thinks that the government could do more to provide venture capital. SeaTwirl’s chairman agrees. ”The loan design makes it easier for large companies to borrow and they don’t really need to borrow”, says Roger Cederberg. Roger also says that SeaTwirl is in close contact with Karmøy Metcentre and agrees that Norway has good prospects, probably the best in Europe because of the expertise in the oil and gas industry, to develop floating offshore wind power. And there is a lot of interest from the Norwegian offshore industry to expand into offshore wind power. 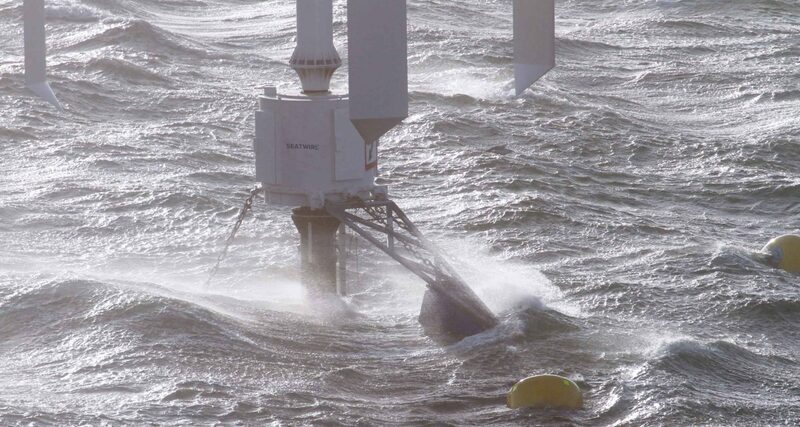 The next step for SeaTwirl is to by 2020 build and launch a full scale 1 MW turbine by 2020 and one of the countries being evaluated for test sites is Norway. To develop the concept from there, more capital will be needed. ”We will apply for grants from Swedish authorities, the EU and from Enova. We will also talk to Norwegian investors. In the future, we will also do a rights issue”, says Cederberg to TU. If the conditions are right, SeaTwirl could help Norway become a leader in floating offshore wind.